This student at Oak Grove Elementary in Roanoke, VA, exchanged videos in Spanish with her partner in Honduras during her Level Up Village Global Inventors course. One of the most exciting trends we’ve seen at Level Up Village in the past two years is how our courses are increasingly being offered by schools looking to combine global cross-curricular projects with foreign language. Educators are well aware that they can supercharge their students’ foreign language learning by providing meaningful, real-world opportunities to practice their communication skills. In fact, researchers have learned that second language learning is most effective when students are really excited about the task they’re working on and language is merely the tool they need to get the work done. Level Up Village’s global STEAM (STEM + Arts) courses provide teachers with an effective way to do just that. Our courses fully engage their students in the task at hand by offering stimulating, global learning opportunities with real-world applications. Moreover, students can practice the language they are studying in a highly relevant and engaging way by partnering with native speakers in other countries. Watch this video to learn more about Spanish integration with LUV’s Global Inventors in Roanoke. Chapin School students in New York City integrated foreign language with design thinking by pairing their students with partner students in both Central and South America for LUV’s Global Water Crisis course. They applied 3D printing to global water access issues and worked with their partners to develop prototypes for water filters. The school’s Spanish and Science teachers worked together to facilitate the project and provide scaffolding for the girls’ Spanish language video exchanges. At Delbarton School in New Jersey, Arabic language students accelerated their learning by connecting with native speakers at a school in Nablus in LUV’s Global Language Lab course, engaging in a series of conversations about their lives, cultures and countries. Motivated by the global exchange, students learned to communicate more effectively and gained valuable global perspective in the process. 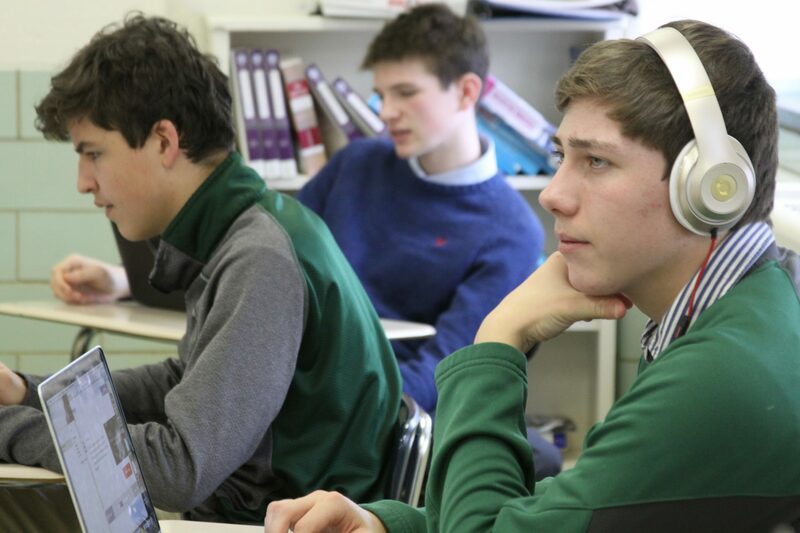 Delbarton students in New Jersey participated in LUVs Global Language Lab course as part of their Arabic class, conversing virtually with native speakers in Nablus. Meanwhile, dual language programs are “one of the hottest trends in public schooling,” according to a recent NPR article, and can help students develop empathy and “theory of mind” at a young age. A pioneer in dual-language immersion programs, Utah passed the International Initiatives (Senate Bill 41) in 2008 so it could implement dual-language programs across its public schools. The state highlights the fact that students in these programs “typically develop cognitive flexibility” and “superior problem-solving skills,” while simultaneously developing cultural competency. Dual-language educators are often on the lookout for exciting STEM projects for language learners. 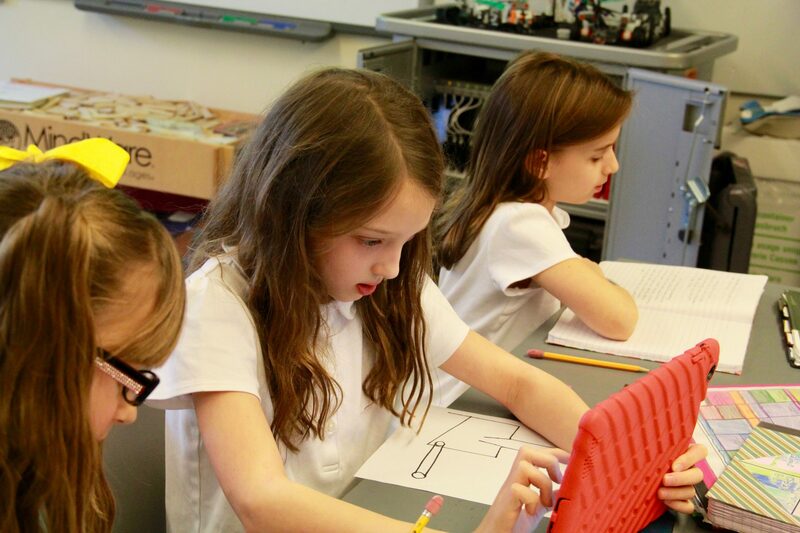 To help meet the growing demand for Level Up Village courses as a curricular enhancement for these programs, LUV recently hired Steven Cooper, a former dual-language elementary school teacher in Utah. If you are interested in bringing Level Up Village programs to your school’s foreign language or dual-language immersion program, contact us here and we will be in touch to find out more about your school’s needs and to help make a match with a LUV global partner school. If you’d like to meet up with Steven, he will be presenting on Friday, November 17, on Using Virtual STEAM Exchange to MotivateLanguage Learning at the Annual Convention in World Languages Expo (ACTFL) conference in Nashville. He and other Level Up Village team members will also be at booth #1213 to explain LUV programs to educators.